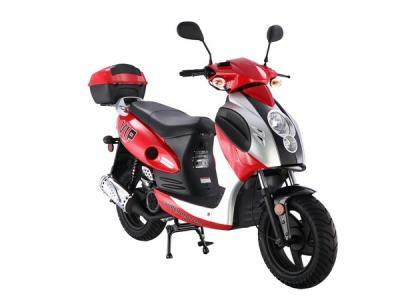 Shop for SCO130 150cc Scooter - Lowest Price, Great Customer Support, Free PDI, Safe and Trusted. The Powermax 150 makes magic! 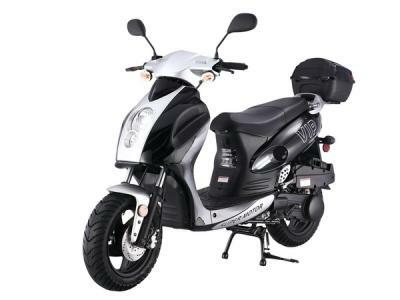 With 12” sporty wheels to cruise around town, this scooter gives a new meaning to cruising! 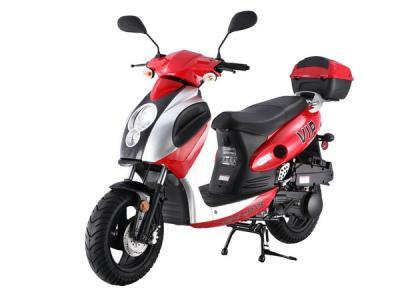 Day or night this scooter is well equipped with a convenient, lockable secure trunk to keep all your valuables that never leave your side! I've had mine for 3 or 4 months now. I bought it from Mega Motor Madness. 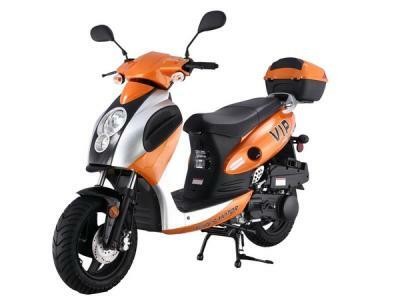 A Taotao model VIP, just like the one on this page. On balance, it's a pretty nice bike. Considering the low price it's a very good deal. It runs strong, yet quiet and it grips the road nicely. I've had quieter scooters and I've had noisier scooters. This one is mid-range. A few components feel just a bit less substantial than I'd like, but they don't seem terrible. I've had inexpensive Chinese scooters and I've had 'name brands' and can compare them somewhat. 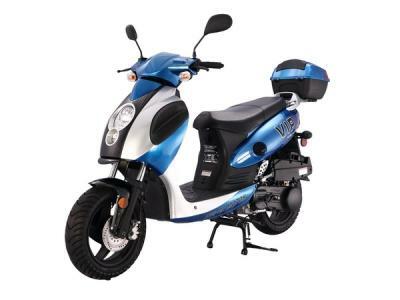 The main reason I write reviews is hoping to help those who are considering a scooter like this one, but have not actually had one. I insist that they are not 'complete junk' as some people say. Some componentry is less than stellar, but mostly okay. Some componentry is surprisingly nice. In most of the USA, anyway, the owner must, must, must be his own mechanic. You won't be able to find anyone to work on the bike for you. The good news there is that it's not hard to do. They're pretty simple. And parts are terrifically inexpensive. 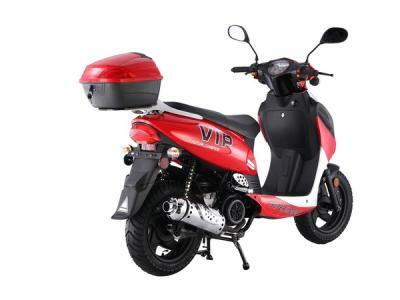 I have no reason to doubt Mega Motor Madness' intentions yet I don't even expect very much where warranty is concerned. At a very low price point like this I doubt if they can afford to take back a bike without a good reason. And I don't expect them to. 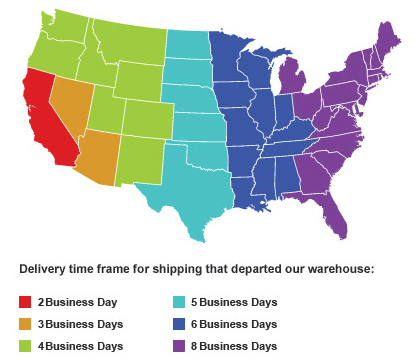 Besides that, it would be a pain for the purchaser to even prepare the bike for return shipping. It wouldn't be worth it. Might as well fix it yourself. So, as long as you're prepared to be your own mechanic, this scooter is a bargain. Nice scoot. Fine price. And when you do need parts, they're inexpensive and easy to find. You'll have to get these parts assembled: Front wheel, front brake, fender, handle bars, mirrors, windshield, and trunk. Battery will also need to be charged. (May differ per model). All Icebear scooters provide fully assembled option. Fully assembled units are ready to ride. Can I get the VIP in Orange like the pic? Sorry Tom ,the Orange is out of stock now.Please pay attation to our website,thank you .